A TOTAL OF 10375 SQM OF PRODUCTION SPACE AND NEARLY 2000 SQM OF OFFICE BUILDING WAS OFFICIALLY HANDED OVER TO MEYN POLSKA ON 13 JUNE 2017. 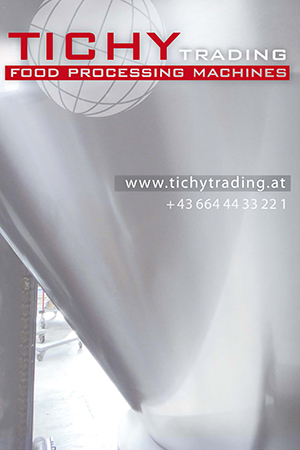 THE COMPANY, BASED IN LEBORK / POMERANIA SINCE 1996, HAS BEEN PART OF MEYN FOOD PROCESSING TECHNOLOGY BV SINCE 2007. 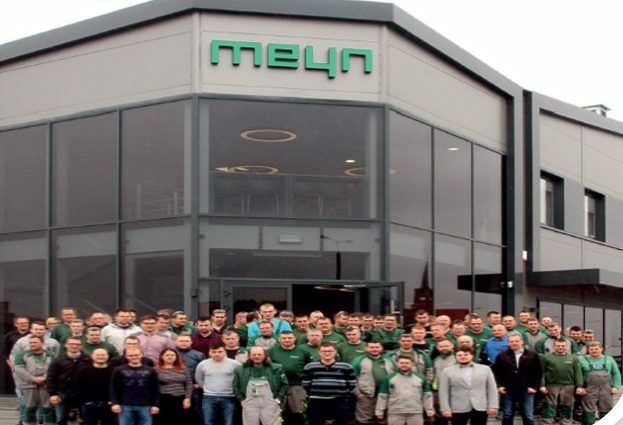 MEYN IS ONE OF THE WORLD’S LARGEST MANUFACTURERS OF POULTRY PROCESSING SOLUTIONS. THE POLISH FACILITIES SPECIALIZE IN THE MANUFACTURE OF MACHINERY FOR LIVE BIRD ARRIVAL SYSTEMS, AS WELL AS PARTS AND ACCESSORIES FOR OTHER EQUIPMENT THAT ARE LATER ASSEMBLED AT MEYN’S DUTCH HEADQUARTERS. The expansion project was delivered on time and within budget, taking just eleven months from start to finish. 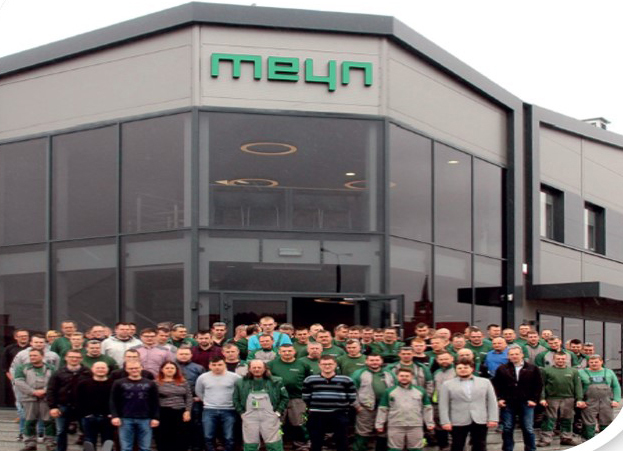 From an initial 6000 m2 of manufacturing footprint, Meyn is proud to have developed into one of the region’s largest and most important employers. The new production space was officially opened at a ribbon-cutting ceremony that took place at exactly 1:16 pm in the presence of Victor A. Mancinelli, Chairman and CEO of the US parent company CTB, Inc., Mrs. Joanna Wolska, Global Director Marketing and Product Management and Dariusz Karaś. The ceremony was performed to the applause of visitors from the Dutch headquarters and all staff from Meyn Poland. On the Saturday before the opening, a Family Day was held so that the proud owners could present the new facilities to family members and friends. On 12 June, Meyn’s suppliers had the opportunity to inspect and celebrate the new development. The official opening on 13 June was reserved for Meyn’s customers, who attended in large numbers to witness Meyn take this important step into the future, Customers also took the opportunity to discuss trends and future technologies with the Meyn specialists present.